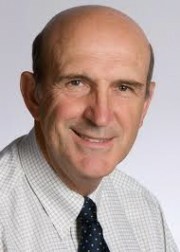 This week’s author favorite is Peter Block. Much of his attraction to me is our shared confidence in the intrinsic value and, I would even say, genius of every individual person. What any given person has to offer comes from the depths of who they are, not from what has been added to them from outside sources such as schools and seminars and workshops. While people can be trained in skills, informed of required procedures, and be given aggressive goals to achieve, nothing can replace tapping into and empowering their core passions, values and dreams. When he writes of professional development, he writes of getting to know yourself and building from the inside out. When he writes of leadership, he writes of empowering those who work for you. We are reading one of his books, The Answer to How Is Yes: Acting on What Matters, chapter by chapter in our Thought Leaders Unpacked™ series. Pick anyone of these gems to start with. But, please don’t put off getting to know Peter Block. Favorite Authors are those unique writers whom I believe are worth reading everything they have written. Explore all my favorites here. 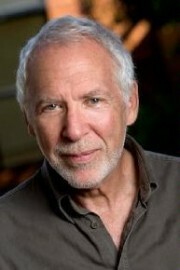 Robert Quinn is one of my favorite leadership authors. He goes to the heart of the matter, that is, the heart of the leader as the starting point for thinking about how one approaches leadership. His books are character builders. Learning from the inside out. He is more concerned with what sort of person we are becoming than with the techniques we employ. Quinn has written extensively, and everyone of them is worth reading. I have listed his major works with links to their Amazon.com pages. I am excited to offer this new resource of identifying my favorite authors with links to their works. I can think of no better author with whom to begin than Robert Quinn. One of the “worlds” that is changing faster than it is staying the same is social media. It can feel daunting trying to catch up with what is happening in social media before it has morphed into something else again. And how many of the experts on the topic are little more than early and lucky entrants? All their “how-to’s” are no longer applicable because we are no longer early in the process nor is everyone lucky. Then comes Barry Libert, who in his collaborative work, Social Nation, gives us a great overview of best practices, primary perspectives, and strategic keys. 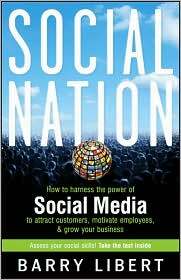 If you are new to social networking, then you will love this book. Libert lays out a wonderful frame of reference for thinking about the skills, processes and purposes of social networking as a component of one’s business strategy. Many years ago I managed a firm where I began calling my colleagues, “my kids.” This moniker was descriptive of both my affection for them and their childish behavior toward work and each other. Now Nick McCormick has captured a wonderful collection of the childish things people do at work. Or… I should say… the clever and common things people do at work, which are, in fact, quite childish. 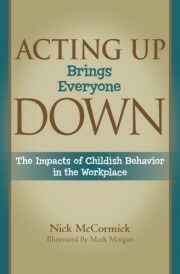 It’s called, Acting Up Brings Everyone Down: The Impacts of Childish Behavior in the Workplace. It takes a great sense of humor to get us insecure leader-types to let down our guards and see our imperfections without feeling attacked. McCormick, though, instead of attacking us for our petty and counter-productive behaviors, laughs at them with us. The assumption Alan Fine’s title makes, You Already Know How to be Great, catches me off guard. And again I ask, “I do?” Because right now there’s a big disconnect between what I’m being told I know and what is actually true of my experience. Then comes the subtitle, “A Simple Way to Remove Interference and Unlock Your Greatest Potential.” Ah, so there is something blocking the way that needs removing, and there’s something locked away that needs releasing. Now I’m interested. Thus we find our way into a wonderful new resource by Alan Fine and Rebecca Merrill. I heard Paul Sullivan speak yesterday at the Milken Institute in Santa Monica. 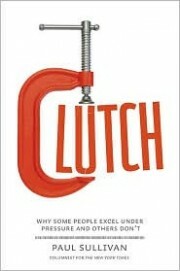 The subject, of course was his book, Clutch: Why Some People Excel Under Pressure and Others Don’t. While much of the audience wanted to cling to a romantic definition of “clutch” that was significantly different than Sullivan’s, I thought he did a great job of carving out a specific angle that both set the stage for his research into extraordinary performers as well as make “clutch” performance attainable for anyone. Specifically, he is examining how some people can continue to do what they are capable of doing on an ordinary basis under pressure. The key being, “do what they are capable of doing on an ordinary basis.” This is not a book on heroics, luck or extraordinary achievements. I’ve already purchased my copy and am considering using Clutch for my next “Thought Leaders Unpacked” series so that we can think through Sullivans observations together. He works his way through five characteristics of “clutch” performers. 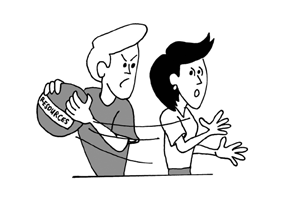 He also offers three reason why others do not perform well under pressure. Keep your eyes and ears open for my decision about the next book we study together in “Thought Leaders Unpacked.” Clutch looks like an interesting, practical, and encouraging option. If you are in Los Angeles and not attending the Milken Institute’s free forums, you are missing out on a great resource. They invite extremely interesting people to introduce their latest books in the context of an open forum. There is time for Q & A and always a book signing. “Thought Leaders Unpacked” is a regular column on this blog where we read a key book together, and I post my reflections on one chapter each week. My reflections are my own and are intended to generate conversation, catalyze additional thinking and encourage mutual learning. American managers are in denial about the fact that their teams are comprised of human beings. Content with a data-defying strategy of squeezing as much work as possible out of their teams for as little compensation as possible, these self-congratulating fools close their eyes to the facts and resort to childish name-calling (e.g. “soft”) to anyone who dares suggest that human physiology and psychology are important factors in workplace productivity. What if there were facts, though, about how people work that could multiply your productivity with only incremental additional costs? I’m excited to come across a kindred spirit in Tony Schwartz in his new book, The Way We’re Working Isn’t Working. I’ve long advocated that people are an amazing, if complex, asset into which we should invest not a faceless, annoying expense that we should minimize. Schwartz provides invaluable insights into how the human beings function and provides the practical means to transform these insights into a more energetic, renewing, and yes, productive workplace. Specifically he looks at human physiology, emotions, our minds, and our spirituality. Far from hyping the latest feel-good fad, Schwartz methodically supports his case with data. If you look at the facts, certain things are true about what makes people thrive, commit, care, and work hard. On the downside, certain factors cause people to wear down, avoid risk, blame others and otherwise distance themselves from their work. Far from being “soft,” it is those leaders who have the courage, honesty and wisdom to face what I describe as “the hard facts about working with people” who have the mettle it takes to face the complex issues facing business going forward. Gone are the days where people can be reduced to inter-changeable commodities to be discarded at the first sign of trouble. 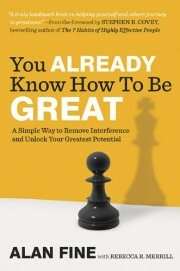 Tony Schwartz is a must-read resource for any leader hoping to work effectively with people going forward. I don’t usually write posts on my personal reading, but I have to give a public nod to comedian Susan Isaacs. 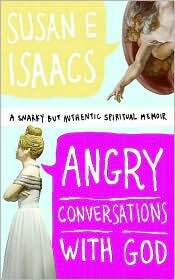 Anyone with a personal spirituality will love Angry Conversations with God. Anyone who’s sworn never to have a personal spirituality will love Angry Conversations with God. I’m not usually attracted to memoirs (i.e. listening in on someone else’s story.) But Isaacs does such a great job telling her story that I was able to both “feel her pain,” so to speak, on the one hand, as well as connect deeply to my own relationship with God on the other. This book is both hilarious and touching. Authentic to her private experience as well as profoundly insightful about what we all experience. If you want a good laugh while brushing up against some of life’s most intimate, turbulent, and significant issues, then sit down with Susan Isaacs. You might end up taking God to couples therapy too! Few genre of literature can tweek our sensibilities, reframe our outlooks, or engage the soul as poetry can. Few writers are as profoundly insightful, authentically sensitive or refreshingly honest as Marcus Goodyear is. I am captivated by his new collection of poems, Barbies at Communion. “Poetry is waiting for us just around the corner, in a book on the coffee table, in a phrase from the pulpit, in the wag of a dog’s tail, in Barbie dolls and quantum physics and vacations and rituals and work and play. If you even remotely enjoy poetry, then you will love these poems that peek and poke and play without ever needing to pontificate or preach. Goodyear’s verse repeatedly catches me off-guard as he makes me chuckle, challenges my assumptions and gives me occasion to pause and reflect. 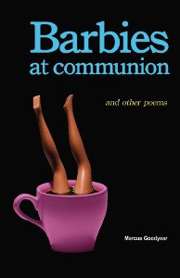 Barbies at Communion belongs squarely at the top of your “Must Read” list. I just picked up a copy of Malcolm Gladwell’s new book, What the Dog Saw and Other Adventures. I grabbed it the minute I saw it. The very second, in fact. Those around me wisely waited while I examined every copy for flaws. Cradling my perfect baby, I made a beeline to the cashier. It wasn’t until I got it home that I realized it’s not a new work at all. It’s a collection of his New Yorker articles. The best in his view. After I recovered from this brief moment of disappointment (not a big fan of the recompiling for a second round at the till marketing strategy)(I’d probably be singing a different tune if I ever experienced a first round at the till), I realized that the only part of the New Yorker I’ve ever read are the cartoons. So I’m sitting here with all “new” material. I love this guy’s work. The preface alone has me fully engaged. Understanding what’s going on in someone else’s head. Of course I can’t read something so fun by myself. This is the stuff of incredulity and hilarity, insights and further reflection. So read with me. We’ll take it a chapter at a time. We’ll meet here and share impressions, reactions and our own takes. I’ve got Amazon links scattered throughout this post. Grab your copy now. We’re going to begin right away. 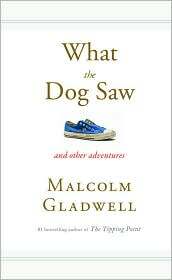 Each Friday I post my reflections from one chapter of What the Dog Saw by Malcolm Gladwell. If you are just joining the discussion now, welcome! Catch up on the entire series here.